Before it became possible to do a balloon angioplasty, people with angina could become more disabled by their condition, with treatment available only to try to make their symptoms more bearable. Balloon angioplasty is a revolutionary technique that was developed during the 1960s and 1970s but only became widely available in the 1980s. It aims to clear the atherosclerosis that has formed in the coronary arteries, so tackling the underlying cause of angina and reducing the risk that the fatty plaque will develop further and lead to a potentially fatal heart attack. Since the early days, success rates and techniques used in coronary angioplasty have come on a long way. The procedure has always been safer than having open heart surgery to have a coronary artery bypass graft operation, but having a coronary angioplasty is not risk free. The basic technique involves inserting a cannula into one of the large veins in the leg or groin and then passing the tools and balloon, and possibly a stent, into the vein to reach the heart. Using ultrasound and other imaging techniques for guidance, the medical team then targets any narrowed coronary arteries. Once in place, the balloon is gently inflated to increase the size of the blood vessel lumen, allowing blood to flow more freely to the heart and relieving the symptoms of angina. The idea technique to use in angioplasty has been quite difficult to find and various newer methods have been tried. The main problem is that the inflation of the balloon causes slight damage to the blood vessel wall, which can cause inflammation. After a few months, although there is a temporary improvement in symptoms, the angina then tends to return because the inflammatory response has caused the blood vessel to narrow again – often more than before. Reducing this natural inflammatory response that is set up in response to tissue damage improves success rates significantly. One technique is to insert a stent into the coronary artery after it has been expanded. This is designed to stay in place and support the artery walls to stop them collapsing in and to prevent narrowing. Some stents work well but others also provoke an inflammatory response. The most successful are those used in the last decade or so that have a special drug coating that damps down the local immune response in the coronary artery for the first 6 months after treatment. It is rare for a new immune response to kick into action after that six month point, so this temporary block on inflammation has proved quite successful. The rates of restenosis, the medical term for the coronary artery becoming narrowed again following a coronary angioplasty, are much lower with a drug-eluting stent. So much so, that the use of these specially coated stents took over from just using the original balloon angioplasty technique in many cardiology centres in the UK and throughout the word. 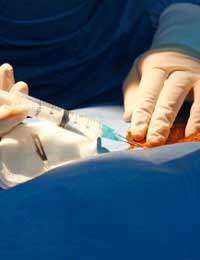 Very recently, a newer technique for balloon angioplasty has improved its popularity once again. Although drug-eluting stents are more successful than uncoated stents and a simple balloon procedure, the stent is still a foreign object that stays inside the body and it does still cause problems in some people. The balloon used in the coronary angioplasty procedure can now be coated with the anti-inflammatory drug instead – this is then used without a stent. The balloon is introduced in the normal way, but as it inflates, it coats the inside of the artery with the drug that then works over the next few weeks to prevent an inflammatory response. Results so far seem very promising and it is likely that this form of angioplasty will be developed further during the next few years. I have certain symptoms of shoulder pain and shoulder burns, one night I had difficulty in breathing cause might be unknown why I am saying that same night I had admitted to Emergency and gone through the several lipid tests, ECGTest,Troponin tests but all were negative but I was curious why this happened after that I had gone Tread Mill Test, that were also negative.But finally I landed APOLLO they suggested to go for angiography there it have significant blockage into left coronary mid segment 75% Blockage for which they suggested to go for Angioplasty after having that my life become hell severe pain almost every day into center of the chest and shoulder blade on left side back which is quite annoying for me the very next year with huge anxiety I been to APOLLO again and Doctor advised same Complete blood profile test,ECG, TMC prior to ECCO and post TMC ECCO all test were very good but my satisfactory level never settle so I proposed the Doctor to do the Angiography again and he did the same and that was good all Arteries functioning well. from that moment I relieved and since that mild pain is there since the foreign material in your heart but other than that there is no major complications happened so now two years passed and again I am due to visit the Doctor lets hope for the best. Fingers crossed for you for your follow up visit and we are gald the treatment worked.